John Wall’s Gonna ‘Torture’ Lonzo! 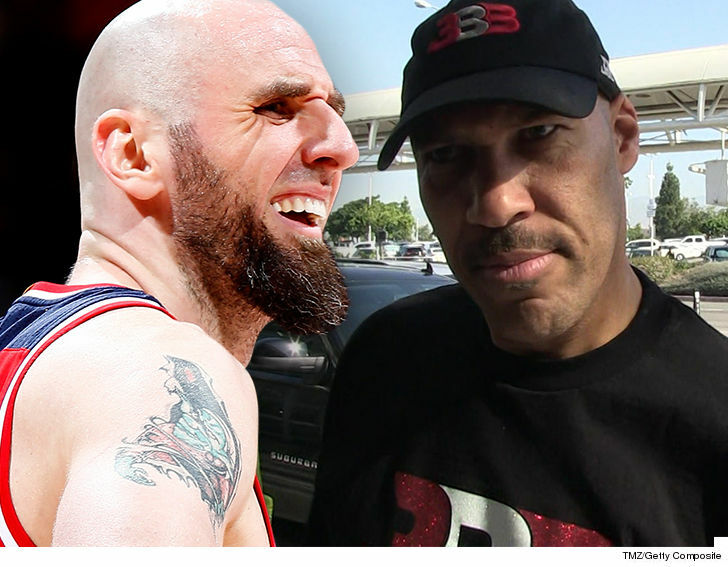 Marcin Gortat ﻿thinks it’s hilarious LaVar Ball said his Wizards should be afraid of Lonzo Ball … telling LaVar that his teammate, John Wall, is gonna “TORTURE” the rookie. The Polish Hammer wasn’t havin’ none of that — letting LaVar know Wall’s comin’ for ‘Zo just like Clippers point guard Patrick Beverley did in the Lake Show’s season opener.